This year, the non-profit Committee CULTURA + IMPRESA - promoter of this initiative, founded in 2013 by The Round Table and Federculture - has decided to award 'CULTURA + IMPRESA' protagonists. The first edition of this prestigious Prize was conferred to Luigi Bonotto, founder of the namesake Textile Factory and Art Foundation in Vicenza, selected by the commission for his forward-looking and multi-year activity that has combined business and art in a unified sight, introducing flexible and changeable entrepreneurial mindset, so that work was first a cultural process and just then a business one. 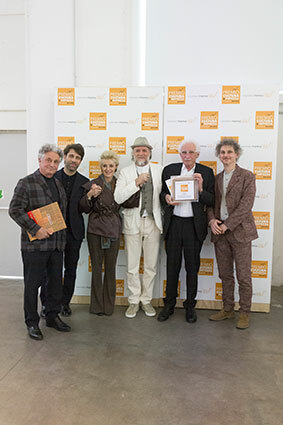 The award to Luigi Bonotto, highlights a life experience that has been able to promote a new connection between art, industry and contemporary culture, the three main elements defining Luigi Bonotto's life, activities and success.